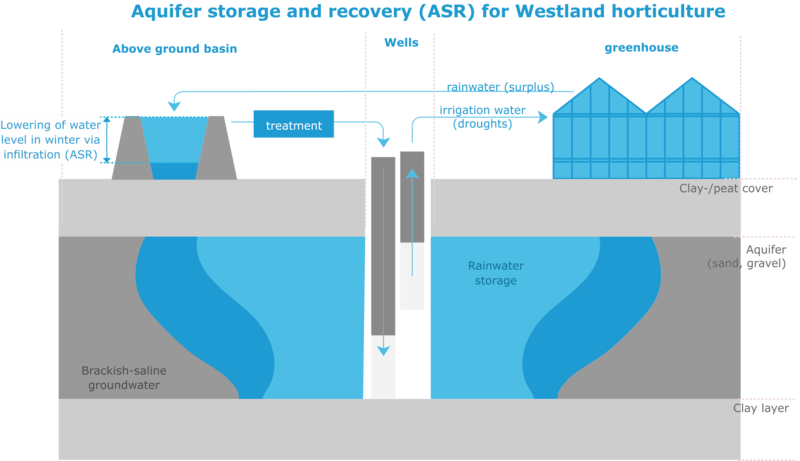 In a joint effort, KWR, Deltares, Arcadis, and the Waterbuffer Foundation have analysed the potential of the subsurface to attain a robust and sustainable freshwater supply and combat drought in coastal areas. 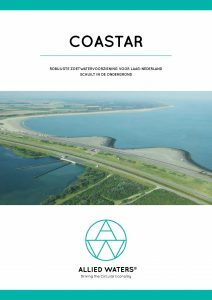 The ultimate aim of this COASTAR (COastal Aquifer STorage And Recovery) programme is to implement proven solutions worldwide, with the Netherlands as the starting point. COASTAR is an initiative of the Allied Waters’ Collab SALutions. COASTAR has opted for an integrated approach instead of the usual Dutch focus on surface water systems for resolving water issues. The programme regards the subsurface as the ultimate solution for robust freshwater supplies in coastal areas. The approach is a dual approach. Subsurface water storage serves as a bridge between water demand and supply as regards space and time, and salinization is prevented by strategically capturing and using brackish water in the production of freshwater. ASR-Coastal: storage and recovery of freshwater surpluses in brackish aquifers for irrigation in dry periods. 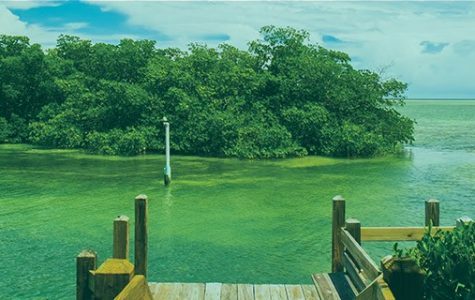 Subsurface Water Solutions such as ASR-Coastal have proven successful at the local scale. COASTAR foresees the regional scale implementation of SWS to guarantee freshwater supply to public, industry, agriculture and cities. The implementation of COASTAR impacts a wide range of sectors – drinking water, industry, agriculture, cities – and encourages water reuse. The concept phase will now be followed by detailed regional plan, a Master Plan, which aims to ensure self-sufficiency in the water supply for the economically vibrant region of The Hague – Westland – Rotterdam. By guaranteeing sufficient (future) freshwater supply, COASTAR will boost the business and industrial climate in the Netherlands. 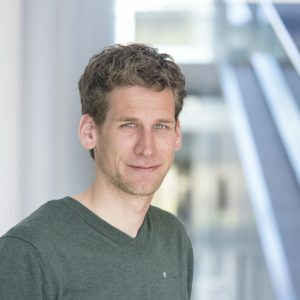 Ultimately, COASTAR’s ambition is worldwide replication of Dutch solutions. COASTAR is an initiative of the Allied Waters’ Collab SALutions. For more information please download the report (in Dutch) or contact Jos Boere (KWR), +31 30 6069613, or Klaasjan Raat (KWR) , +31 30 6069555.